Sesame Street birthday water bottle labels for Sesame Street party theme - instant download! Sesame Street birthday boy water bottle labels for Sesame Street party theme - instant download! Elmo birthday water bottle labels for Sesame Street party theme - instant download! 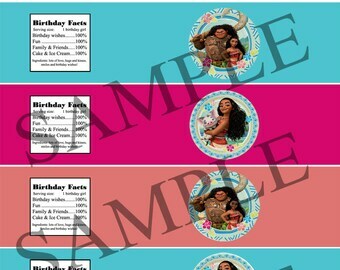 Moana water bottle labels printable for birthday party - instant download! Cookie Monster birthday water bottle labels (for boy) - Sesame Street party theme - instant download! Didn’t use, but it was very nice! !